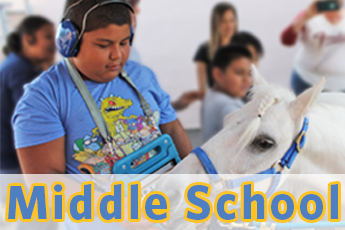 Villa's School offers an educational program serving students from 5-22 years old (elementary, middle and high school classes) who have special needs associated with autism, cerebral palsy, Down syndrome, intellectual and other developmental disabilities. As a non-public school (NPS), funding is contracted with school districts and regional centers through the Individual Education plan (IEP) process. Private pay options are also available. Children develop independence within classroom expectations and participate in groups requiring language processing and expression. Students receive instruction in the areas of pre-academic and academic skills, language and communication development, social and emotional skill development, self-help and transition skills, gross and fine motor abilities. Classes provide a highly structured and specialized setting for children with intensive language, social and behavior needs consistent with autism and similar disorders. Genuine communication requires both the sending and receiving of information (expressive and receptive language). Children learn to express their own desires and needs through expressive visual communication systems, such as the Picture Exchange Communication System (PECS). Receptive systems, on the other hand, enable adults to communicate classroom structure and choices to the students. Picture schedules and token reward strips are examples of teacher-directed visual communications. 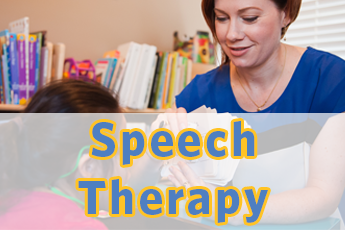 The language-based program focuses on social play, academics, independent work, self help and fine motor skills. More advanced skills include reading, writing, creative expression through art and drawing, and basic math skills. Children develop independence within classroom expectations and participate in groups requiring language processing and expression. Students are instructed in communication, daily living and functional academic skills necessary to enhance independence. This safe, nurturing environment allows the school experience to be both positive and gratifying. Intermediate Academic Class serves children whose IEP reflects an academically oriented curriculum as well as the development of life skills. Curriculum emphasizes the development of language and math skills in practical situations and as related to ongoing projects. Emphasis is on developing the functional and cognitive abilities needed to maximize a child’s independence and participation in their current and future natural environments. Language, numerical and reading instruction are focused on maximizing the child’s opportunities to employ the concepts they learn in school at home and in the community. Intermediate Life Skills Class serves children whose Individualized Education Plan (IEP) specifies a focus on life skills. 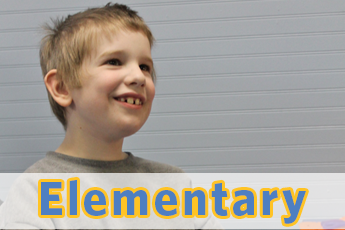 Academic skills will be addressed on an individual basis as specified in each child’s IEP. This classroom provides a highly structured and specialized setting for children with intensive language, social and behavior needs consistent with autism and similar disorders. The High School program provides a structured environment focusing on social skills, behavior management, communication, functional academic and employment skills. Each class uses techniques allowing students to maximize their potential for independence, empowering them to transition into the community with a sense of accomplishment, ability and integrity. 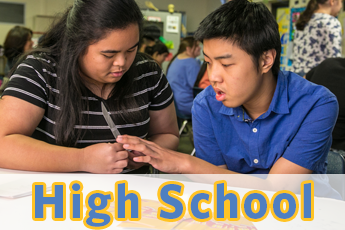 Life Skills High School Class: Our life skills high school classroom serves teens and young adults ages 15 – 22 whose Individual Education Plan (IEP) reflects a life skills and pre-vocational driven curriculum. The classroom emphasis is placed on developing necessary functional academic, pre-vocational, social, behavioral, and community skills to transition into adult life. Some example activities include mobility in the classroom and community, practicing specific vocational skills, practicing daily living skills, and applying functional academic skills. Individual priority skill areas are identified through the Individual Transition Plan, Individualized Education Program, assessment, and interest surveys. These areas are then addressed in the classroom through in-class, on-site, and community instruction and activities. Transition High School Class: Our transition high school classroom serves teens and young adults ages 15 – 22 whose IEP reflects a functional academic, vocational, and life skills driven curriculum. The classroom emphasis is placed on developing necessary functional academic, vocational, social, behavioral, and community skills to gain employment and transition into adult life. Some example activities include mobility in the workplace and community, practicing specific vocational skills, and applying functional academic skills. Individual priority skill areas are identified through the Individual Transition Plan, the Individualized Education Program, assessment, and interest surveys. These areas are then addressed in the classroom through on-site, in-class, and community instruction and activities. Vocational High School Class: Our vocational high school classroom serves teens and young adults ages 15 – 22 whose IEP reflects an academically and vocationally driven curriculum. The classroom emphasis is placed on developing necessary academic, vocational, social, behavioral, and community skills to gain employment and transition into adult life. Some example activities include mobility in the workplace and community, practicing specific vocational skills, and applying functional academic skills. Individual priority skill areas are identified through the Individual Transition Plan, assessment, and interest surveys. These areas are then addressed in the classroom through on-site and community instruction and activities. As a part of a meaningful adult life, recreation is also taught and practiced for all high school classrooms. With individual interest and abilities in mind, recreational activities may include sports and clubs, library, community center, community parks, and on-site social gatherings. 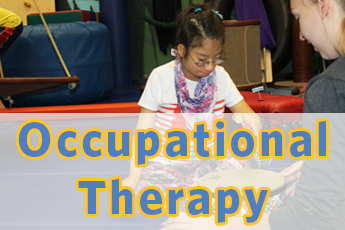 The classrooms are supported by behavioral services, speech and language services, occupational and sensory integration therapist, and a music therapist when available.